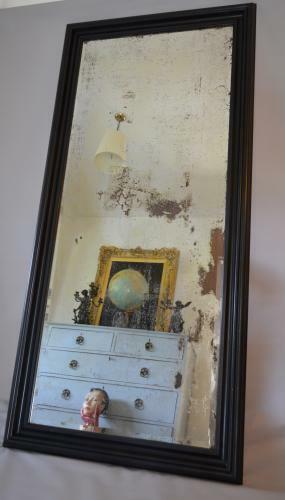 Large distressed bevelled mirror plate set in a lovely black painted frame with large mouldings. It has that great look that is in fashion at the moment. Can be used portrait or landscape. The glass is circa 1890 with later frame.